Uncompromising, ecological and ethical fashion combined with design. These were the principles Anne Linnonmaa, the Finnish designer and entrepreneur, has always been determined to follow in everything she does. Anne is an excellent example of how a single person can affect the world with their everyday choices and she encourages others to challenge the world too. “Buying quality is the best eco-thing you can do”, says Anne Linnonmaa. 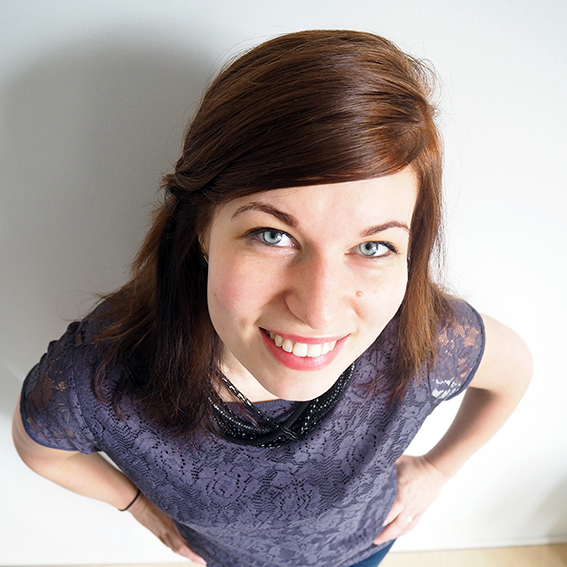 Photo by Meeri Utti. The ideas of responsible business, which Anne started to push forward already in the 90’s, have now become a megatrend. Now she designs knitwear for children, but the uncompromising, ecological ideology hasn’t changed an inch when designing ECOBABY knitwear. Since sustainability is nowadays more a standard requirement than a competitive advantage, Anne encourages people to challenge the company’s promises and consider their everyday choices. She worries companies use sustainability wrongly in marketing, used only to collect “good guy points”. According to Anne, the product shouldn’t be called sustainable if it contains few percentages of organic cotton. “The dying colours, for example, contain a lot of toxic ingredients, which can cause allergic reactions or have carcinogens. Therefore, it’s important to go through some trouble, read and find out what certifications, for example, mean. Don’t trust just a green, pretty leaf”, Anne sharply summarises. She knows what she’s talking about. In the 90’s, she sat in the laboratory, made hundreds of dyeing tests to find the right components to use in her clothing collection. She received recognition for her determined work in the form of the EU Ecolabel – a certification, which is very strict and hard to get. Back then organic cotton was extremely hard to find in the markets and Anne used a specific cotton farm in Peru. Cotton is sold in the stock. It’s collected worldwide, spun, dyed and sewn in various places so the tracing of the origins becomes extremely hard for both the chains and the consumer. The only material Anne uses in her knitwear is GOTS-certified organic cotton, where both the thread and the dyeing colour are certified. 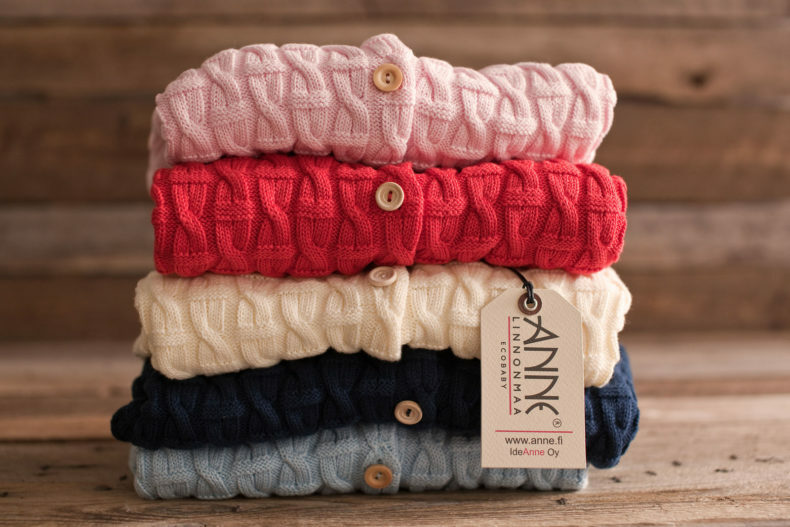 Her knitwear separate from many other products because they are pre-shrunk at the factory. Therefore, all products can be washed not only in 40 degrees but also in 60 degrees and tumble dried. Co-operation in the field of sustainability is something Anne has always valued high. She believes changes can be made together – doing things alone is just stupidity and doomed. Ideas and success stories must be shared and Sweden is a role model of this, Anne states and gives and example. “I am extremely happy for the co-operation Nokian Neulomo does now with others”, Anne adds. Anne herself has shared her knowledge and experience to many entrepreneurs starting their businesses and received many prizes, for example, the Golden Hanger and the Fashion Designer of the Year, for her work for entrepreneurship and Finnish design. She has also taught in various schools, for example, in Aalto-University School of Art and Design, and is extremely happy to see her former students now working in the field of ecological fashion. Anne is an excellent example that the individual’s actions do matter.